Fall is setting in and many of us are thinking about a gym membership to help us keep up our level of exercise from the summer months. I am a firm believer that I do well with my weekly workout quota when I am committed to a gym. It’s fine and dandy to say I own a membership but what can I do to make sure that I’m successful with it? How can I begin and how can I stay motivated? I have made many mistakes over the years and allowed my membership to get dusty on a shelf because I didn’t take the steps to make sure I succeeded and today I’m sharing my secrets with you! 1 – Make a plan! Having goals is vital. What is also important is that they are realistic. Short term and long term goals are important. These will provide a sense of purpose and a sense of achievement. Make yourself a vision board, a journal or whatever speaks to you. The more you’re excited about this, the more likely it is that you will succeed! 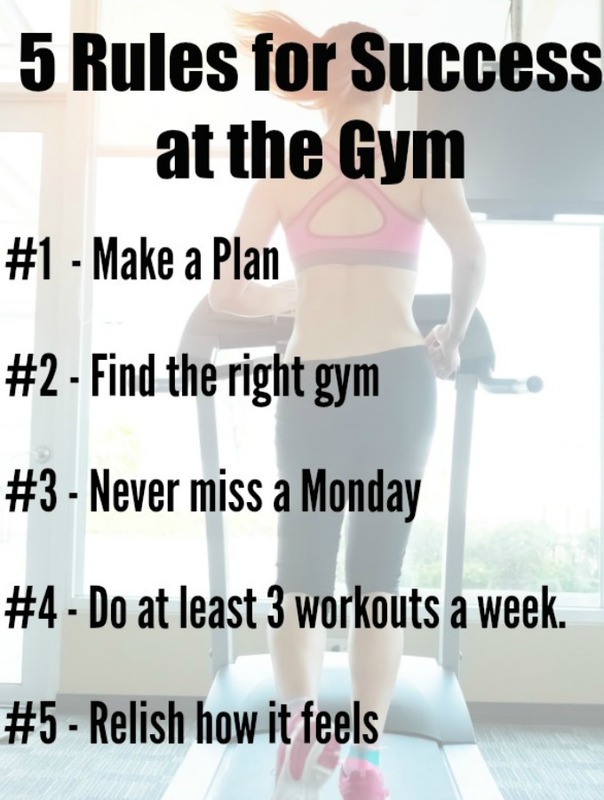 2 – Find the right gym. Exercise should be something you enjoy while you’re doing it. One sure fire way to make that happens is to choose a gym that is high quality while not breaking your bank budget. See the Fit4Less Membership Packages here. 3 – Never miss a Monday. For so many of us Monday is a flag, marking the beginning of the week and setting the tone. Do NOT skip your Monday gym date! Set the tone for the week by going as scheduled no matter what life has handed you. Let the gym help you reset yourself and be recharged for the rest of the week. 4 – Do at least 3 workouts a week. Don’t fall prey to negative internal thoughts that tell you to skip a workout. Hit the gym 3 times a week no matter how you’re feeling. Even a light or “bad” workout is better than not going. I am willing to wager that you’ll feel so much better after the workout and how many people do you know who say “I wish I hadn’t gone to the gym”? Once this is part of your routine you’ll find that these thoughts are easier to ignore if they come at all. 5 – Relish how it feels. Savour the post-workout glow! With each and every workout at the gym you’re raising endorphin levels and escaping the drudgery of daily life. Gone are the bills, household chores and deadlines. A good workout is a stress reliever, which in the end benefits all areas of your life, not just your body. Take time to notice how this feels and heck, write it down to remind yourself on bad days. Disclaimer: This is a sponsored conversation written by me on behalf of Fit4Less. The opinions and text are all mine. Comments submitted may be displayed on other websites owned by the sponsoring brand. These are great tips! I agree that finding t he right gym is crucial. I’m in the US so I don’t think we have Fit4Less. I also totally agree with never skipping a Monday. I’m not great at it yet but I know that if I get my Monday work out in, I feel better for the week and amore likely to go the rest of the week. Thanks for sharing all your tips!